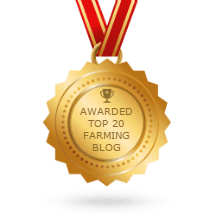 “Farming background: dairy, show horses, sheep, sheep dogs, goatsAlways close to Nature, so a natural progression to herbs, flower essences and homoeopathy at age 22. So that means I’ve had 40 years experience with natural remedies, a sobering thought.I work with humans and animals. I do Reiki and Foot massage. Kinesiology is my tool when I prescribe remedies for clients.I brought up 5 kids for the most part on my own. I used my herbal knowledge on them, and apart from broken bones and a bout of whooping cough during an epidemic, the doctor has been used very little – and then I was told with whooping cough that he couldn’t do any more for the kids than I was doing, go home and keep it up. Youngest daughter is 15 and never been to the doctor. My dispensary has over 450 homoeopathic simplexes; 80 herbal tinctures; nearly 100 flower essences; and 50 essential oils. I’ve supplied farmers with homoeopathic formulas for 24 years. Future gunna-do: Flower essences to add to foliar sprays to enhance the energies of the soil and plants. 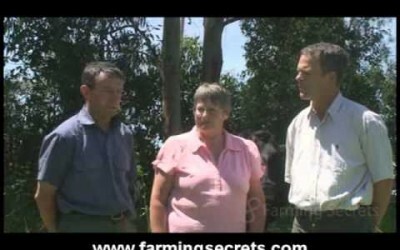 Jean has been a regular contributor to our Farming Secrets Digest since Digest No. 12. 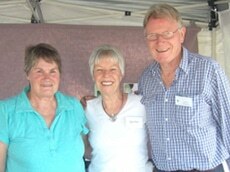 Jean Belstead met Ron and Bev Smith many years ago when Ron was having problems with mastitis in one of his dairy cows. Jean, a local homeopath showed Ron her homeopathic treatment for mastitis and Ron hasn’t looked back! He is a firm believer and follower of using homeopathy to prevent illnesses and also to relieve stress and trauma both in animals and humans. 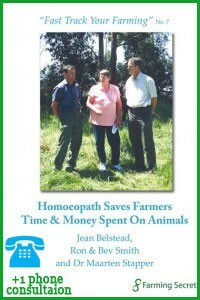 For over 40 years Jean has been practising homeopathy with both humans and animals. 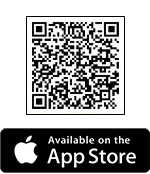 She is a great believer in natural remedies and incorporates reiki and foot masssage as well as kinesiology when prescribing remedies for her many clients. Does your pet suffer from fleas and you don’t know what to do? If you want to avoid buying flea collars, chemical dog washes and flea tablets check out using homeopathy. A safe gentle way to get rid of many pet problems – including fleas. Minerals are Calming for Animals. 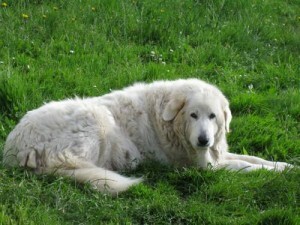 Homeopathics does not only treat animal, it also enhance soil and building everything. Jean tells a story about the cow that has a milk fever and was treated with homeopathic. Ron explained how easy it is to use Homeopathics. What is Homeopathy & How Does It Work? Homeopathy is an organic way of treating animals. Is it possible to prevent mastitis using homoeopathy? Raw milks products are healthy and last up to 10 days. Eat healthy. The problem when you put Penicillin in Cows, the penicillin stays in their milk up to 6 months. What Every Farmer Should Do On Their Farm? That’s why farmers should be with their animals, they feed them, and observe them to get understand them.